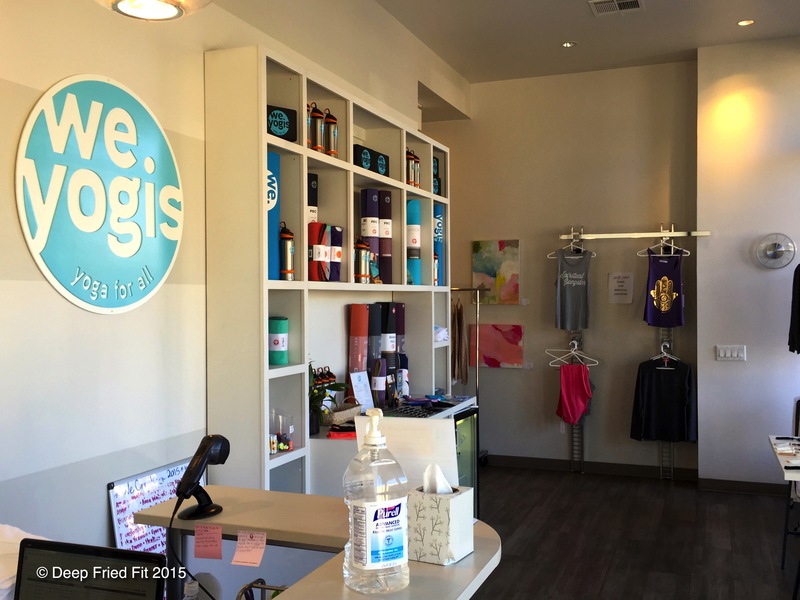 We Yogis is a wonderful modern and family-centric yoga studio in Inwood Village. 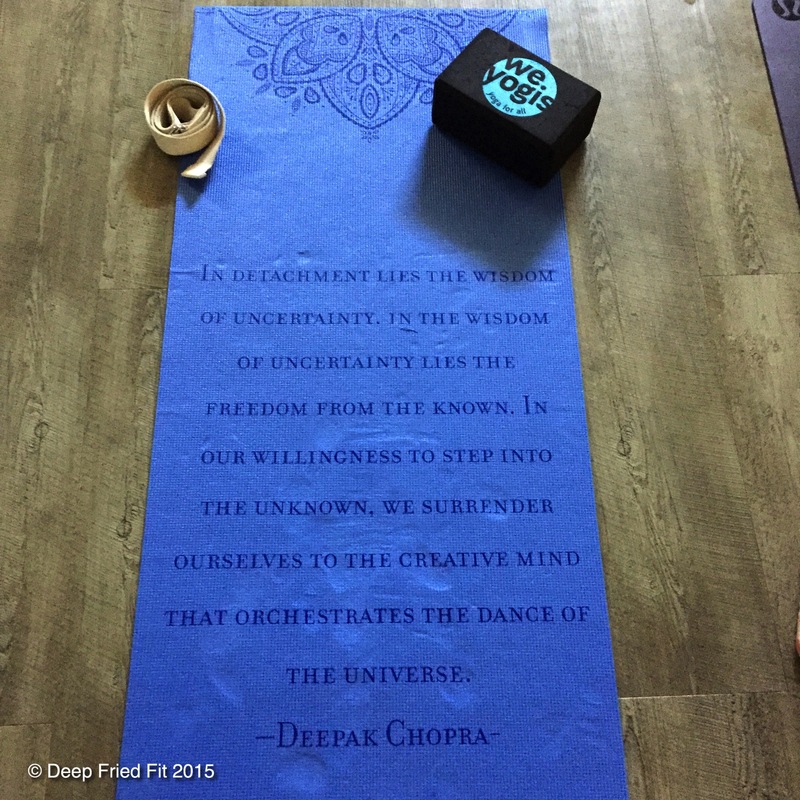 Prior to attending classes there, I had heard great things from my yogi friends. The studio was founded by a family with the focus of family in mind and is an open place of practice for all yogis. It truly is a yoga studio for women, men, grandparents, and children of all ages and offers a variety of classes for everyone. I’ve been to a handful of other yoga studios so far, so I was pleasantly surprise to learn that it was so family-friendly and even offered a daycare for kids. It was a unique experience and I can see the appeal for any yogi family. Owner Diana Rodgers has a masters in public health and started her yoga concept in the summer of 2012 in her garage. In her home, she offered free yoga classes three times a week while also offering free babysitting in her living room. Later that year, she finally opened her We Yogis studio. 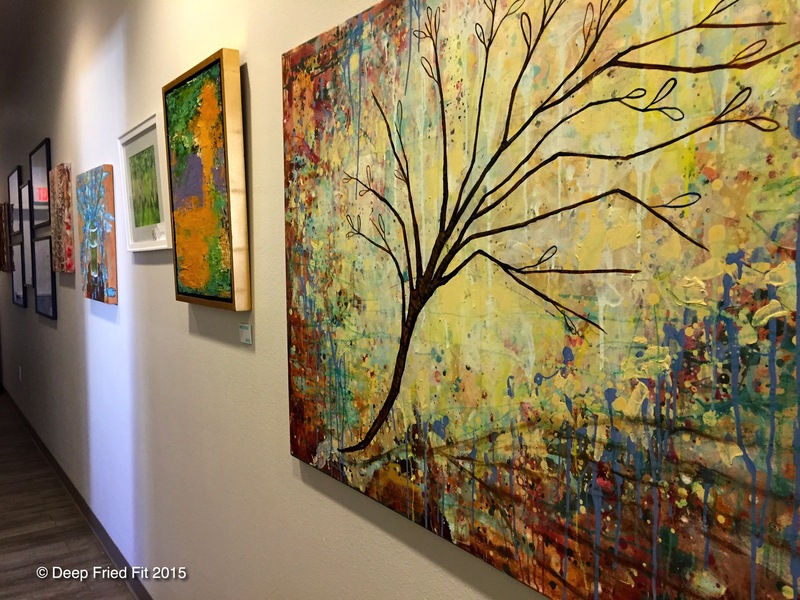 The Class: For this review, I attend two classes at this studio. The Athlete’s Deep Stretch class immediately caught my attention on the schedule and I signed up immediately. Recently, I’ve incorporated yoga into my fitness repertoire and gentle flow or beginners yoga was great, but didn’t give me everything I needed as far as stretching goes. So finding a class dedicated to targeting common problem areas, bringing awareness to areas that need healing, and stretching was an answer to my prayers. I’ve been told a lot of runners, golfers, tennis players, and other athletes really like to attend this class. I wish I could personally speak more about the other classes, but you can learn about the other offerings here. The Space/Studio: The studio itself is hidden next to a Chico’s. If it wasn’t for the kind voice machine to tell me so, I would’ve wandered the plaza forever looking for it. It’s a small, modern studio with two rooms for practice and a small children’s area for kids. The athlete’s deep stretch class took place in the larger studio that is also slightly heated. The room is a long rectangular space that is pretty bare, sans two cubbies for belongings and yoga materials. The studio is well kept and clean. The hallway leading to the rooms is narrow and can get crowded when classes are in transition. and while floors need to be cleaned after a particularly sweaty class. The Instructor: I took the same class taught by two different instructors and had different experiences with both. Shelley is the resident yogi who typically teaches the class. This particular weekend was very full, with a great mix of men and women. The flow of the class was your usual instructive flow with soft music. While the flow is slower, yogis hold poses much longer to truly benefit from the restorative deep stretch from head to toe. My second class was with Abra and she was excellent. Her style was very different and her class was more informative as she talked throughout the class and really explained what you were stretching and why. Unlike a meditative and quiet class, her purpose was to teach movements athletes can incorporate into their daily routine and I loved leaving with some key stretches in mind. She helped me bring awareness to really tense parts of my body I wasn’t even aware of. Loved/Hated: Loved the healing aspect of the class and being able to learn new stretches to incorporate into my fitness routine. I also really liked seeing more men in class! It’s refreshing to see more men taking advantage of the benefits of yoga and that it’s not just a “girl thing”. I also really liked that We Yogis takes a modern approach to yoga. While it offers a place for yogis to practice and tap into all the benefits of practicing, I’m glad there isn’t a lot of the zen, hippie, and sometimes what I call hokiness. That’s just my personal preference. The Next Day: I felt great. I noticed I wasn’t as sore and was happy to incorporate some of the movements into my post five mile run. Difficulty Level: This is a great class for everyone. Obviously it caters to athletes. It’s slow enough for beginners, yet wonderfully beneficial for anyone who needs a good stretch. FYI/Costs/Parking: Towels and mats are provided. The classes are well equipped with straps, blocks, and bolsters. Napkins and disinfectant wipes are also available to use after a sweaty session. Come ready in your yoga gear. There are only two unisex bathrooms available to change in with a diaper changing station. There is also a water fountain and bottles water for purchase. Plenty of parking in the plaza area. To check out the studio, you can do a week of unlimited classes for $20. 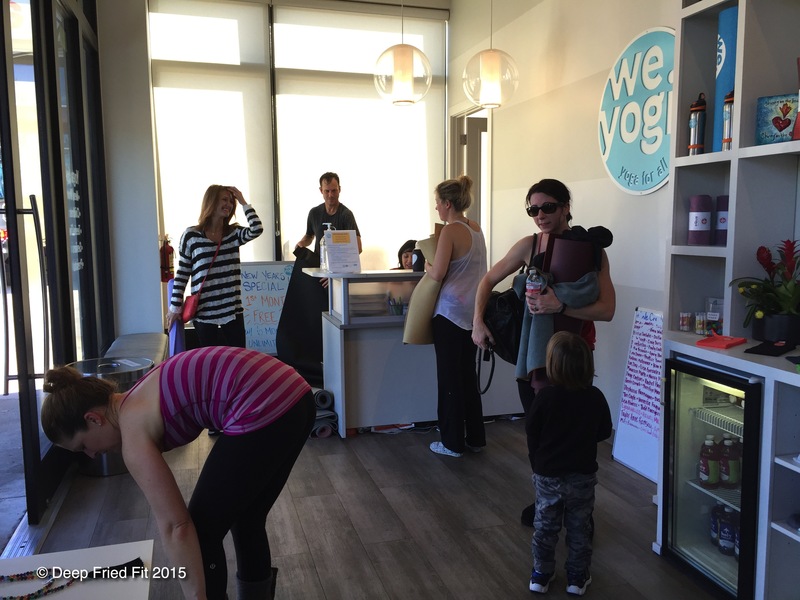 WeYogis offers pricing packages for singles, couples, and kids. Couples is a fluid term. The only stipulation is that the couple must live at the same address, so that can be a married couple, a mother and daughter, sisters, grandparents, father and son, etc. The pricing for couples versus singles is really different and so take advantage if you can. There are also private classes, private yoga parties, and camps available too. To utilize the childcare center, busy parents can drop off the kiddos for $5 each and enjoy a class knowing they are being taken care of. The Takeaway: My first impression of We Yogis was that it was the perfect yoga studio catered for your Park Cities families. However, I’ve always felt welcomed and really enjoyed being taught by great instructors. There is also a great sense of community. I look forward to trying out some of the other offerings. Feb 13th – Thai Massage Class at 5:30p for all levels and open to the public. Learn how to give a Thai massage! $55 per couple, $35 for individual. Feb 14th – Starting on V-day, members can bring a loved one to the studio for free for 30 days as part of the Love of Yoga promotion. The loved one can be a child, parent, spouse, etc. Feb 28th – Debuting the first We Family Together Yogis class, We Yogis is inviting parents, grandparents and children ages 4 and up to celebrate motion and meditation together. Classes are sponsored by Lululemon and Ivivva and are open to the public. Cost is only $10 per person. 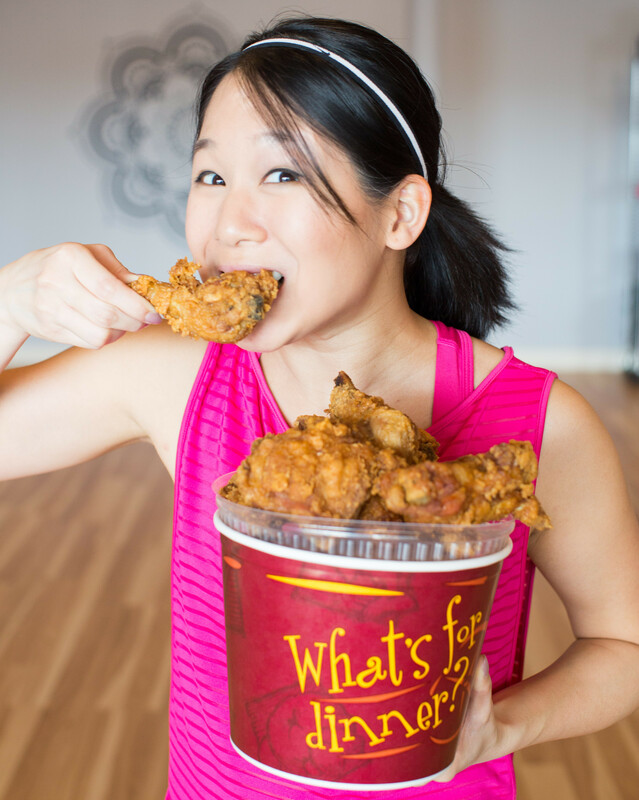 In order to review We Yogies, Deep Fried Fit used her ClassPass to attend two yoga classes.